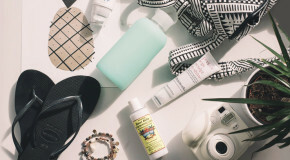 As part of our new how-to series, we’ve selected one of the most ‘need to know’ beauty topics: sculpting! It’s a trick that makeup artists have been using forever; essentially it’s all about using strategically applied shadow and light to alter face shape by defining the bone structure. With practice (and good tools! 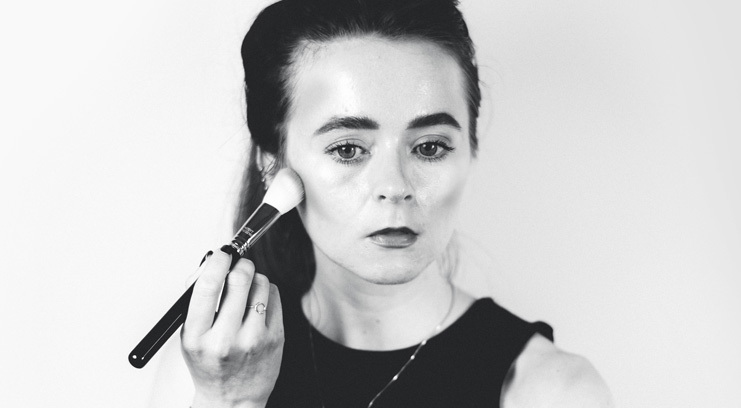 ), you can sculpt your face to make your cheekbones appear higher, your nose slimmer, your eyes wider, and your jawline more angular, proving that you can well and truly change your face with makeup. First, you’ll need a contour product that sits just a couple of shades darker than your skin and has cool undertones (for a more authentic and natural-looking shadow). There are literally thousands of contour products on the market these days, ranging from powders to creams, liquids, and palettes, but my personal favourite is Illamasqua’s Cream Pigment in Hollow. The cream formula is super easy to blend and will last a lot longer than powder. You’ll also need an appropriately shaped brush; the best are slim and angled, like Natasha Denona’s Contour Brush. Once you’ve loaded up the brush with product, nestle it into the hollows of your cheeks and press the product beneath your cheekbones, moving upwards from the centre of your cheeks until you reach your hairline. It’s important to apply shadow in upwards movements in order to truly ‘lift’ the cheekbones – sweeping it down will pull them down. Once you have your contour in place, gently blend up the edges, using a clean blending brush to buff the product out until you’ve reached your desired intensity. 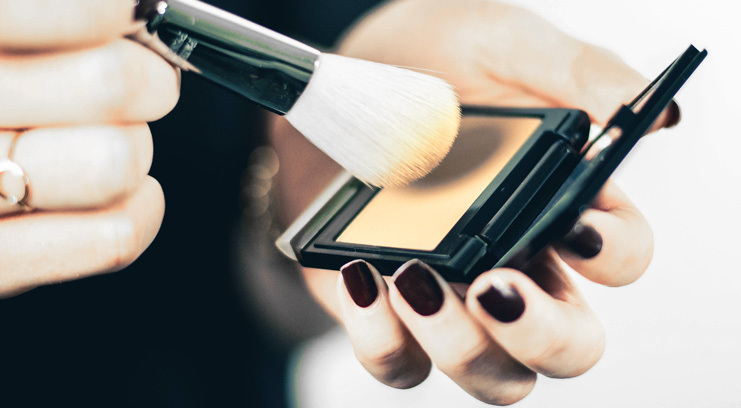 Many people make the common mistake of assuming that shading with a dark product is all that there is to contouring, when in fact the addition of highlighter is equally as important. I typically prefer a powder formula for highlighter as the texture helps to reflect the light. My current favourite is Natasha Denona’s All Over Glow Face & Body Shimmer Powder, which contains silicone-coated powders that help the product to adhere to your skin for a ‘lit-from-within’ glow. 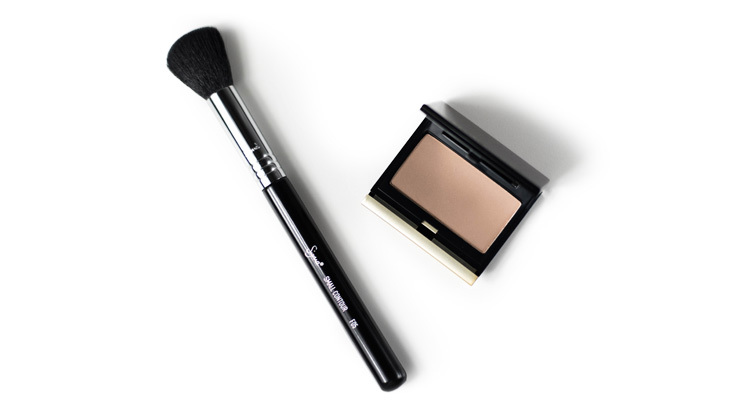 Using a soft tapered brush like Anastasia Beverley Hills’ Illuminator Brush, concentrate the highlight on the tops of your cheekbones, sweeping it in a ‘C’ shape from your temple to beneath your eyes. 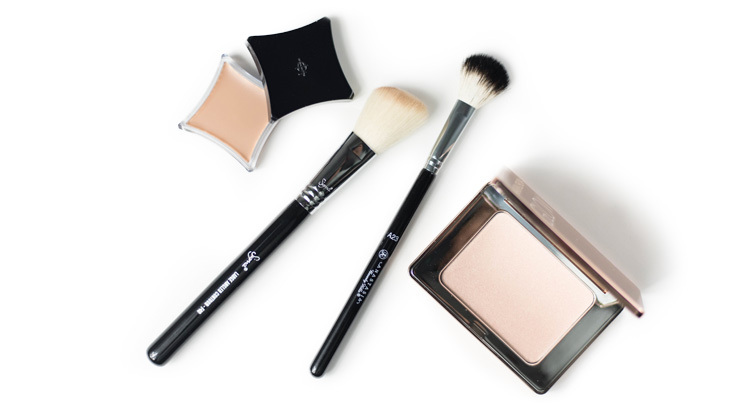 To create the appearance of a slimmer face, you’ll need to first follow the instructions above to sculpt your cheekbones, and then apply further product around your face. I prefer to use a powder for this as I find it can be blended easier for the super subtle effect required. My favourite is Kevyn Aucoin’s Sculpting Powder – it comes in three shades and the lightest is one of the best I’ve used on fair complexions. Dust the product along your jawline and around your temples and hairline to emphasise the angles of your bone structure. 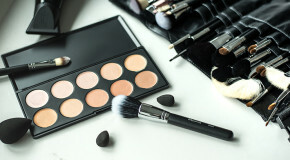 Use a narrow contour brush for this purpose such as Morphe’s Pointed Contour Brush, which applies just the right amount of product and also does double-duty as a blending brush. To fake a thinner nose, use a smaller brush (like Morphe’s Mini Detail Contour Brush) to lightly swipe contour powder down the sides of the nose. To emphasise and complete the effect, sweep a little highlighter down the bridge of your nose. Knowing how to contour your eyes is a fool-proof way to make thems look bigger, enhance their shape, and add subtle definition when you don’t feel like committing to a complex eye look. Chances are you do this already, especially on a low-maintenance day when dusting a little highlighter or bronzer onto your lids adds depth. For best/most natural results, choose a neutral colour just a little darker than your skin. 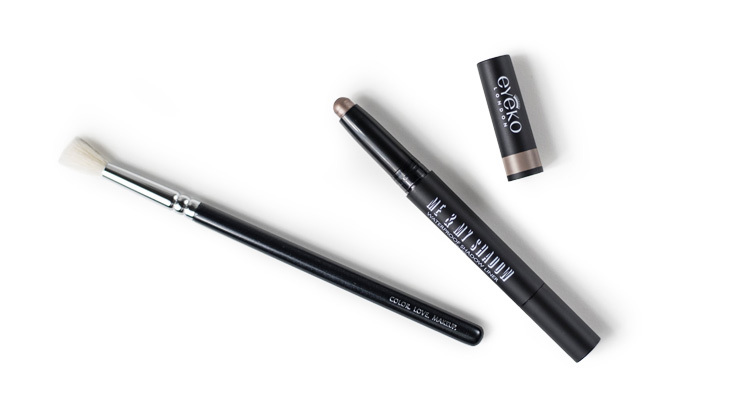 My failsafe for this purpose is Eyeko’s Me & My Shadow in Taupe, a light smoky beige colour that comes in the form of a twist-up eye pencil. Line the eye sockets from corner to corner then use a small-headed crease brush (we love Zoeva’s Luxe Soft Crease Brush) to blend the colour over the lid then outwards and into a ‘V’ shape – which opens up the eyes. To further shape the eyes, lightly line the outer two-thirds of the lower lashline and use the same brush to buff the product in, sweeping it in the direction of the outer corner to connect the two sections.